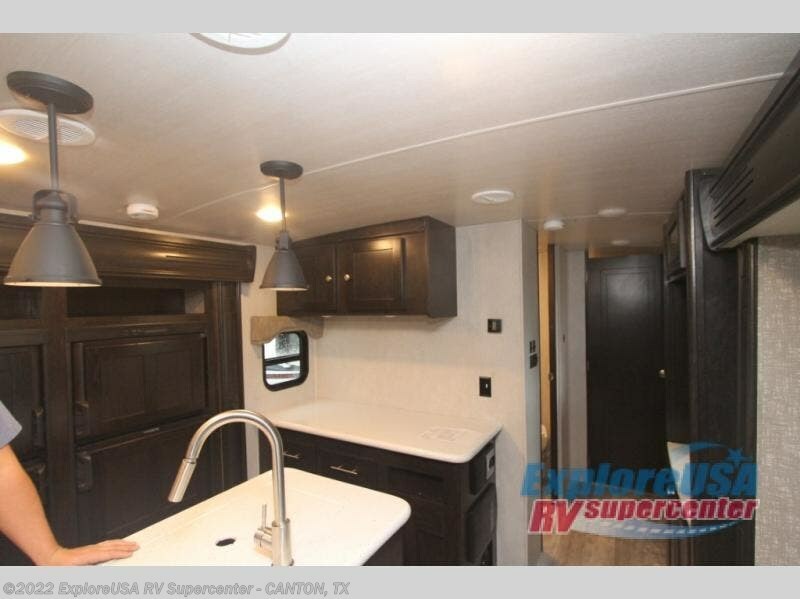 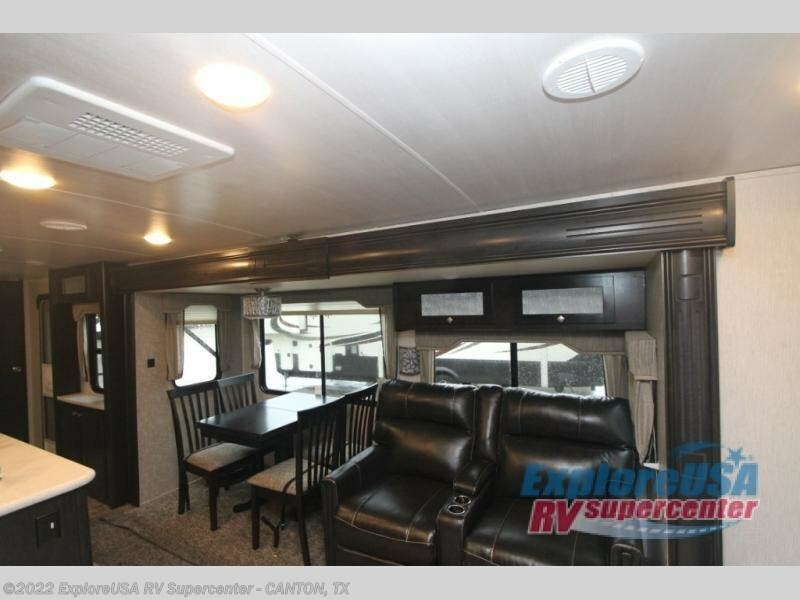 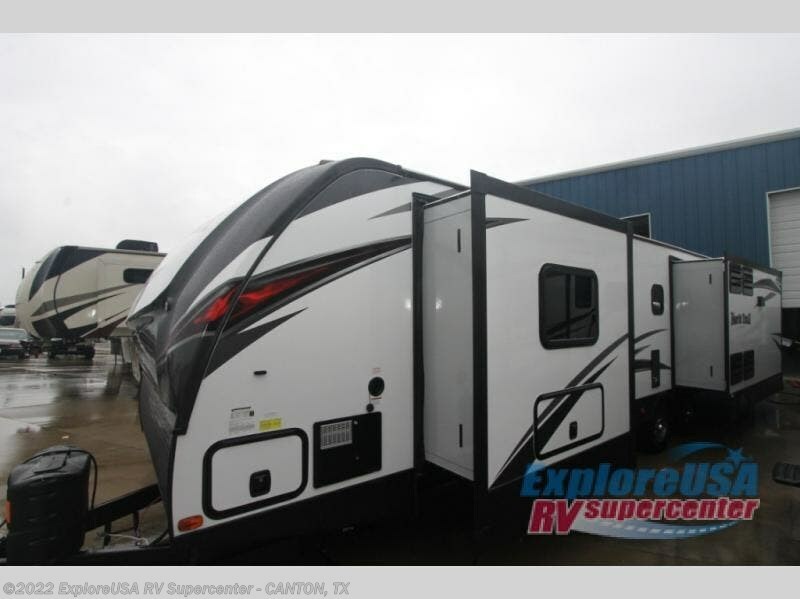 The amenities inside this North Trail 33RETS King travel trailer will have you smiling the whole time you are on vacation! 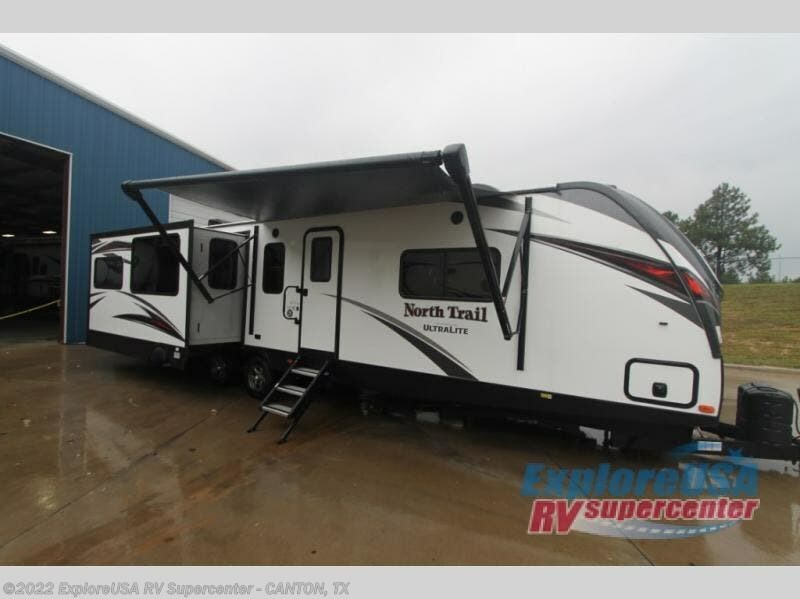 All of these comforts will make anywhere you park and camp feel like home. 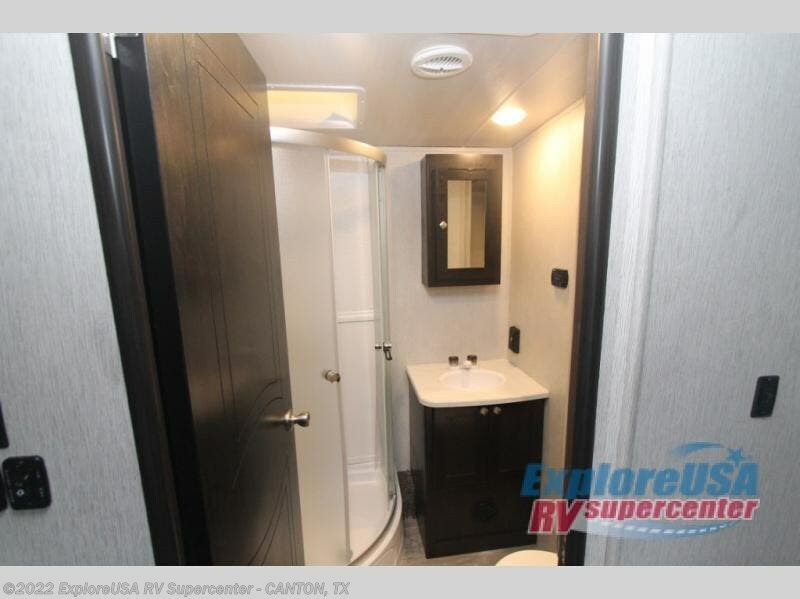 Enter and check out the convenient location of the full bath directly opposite the entry door. 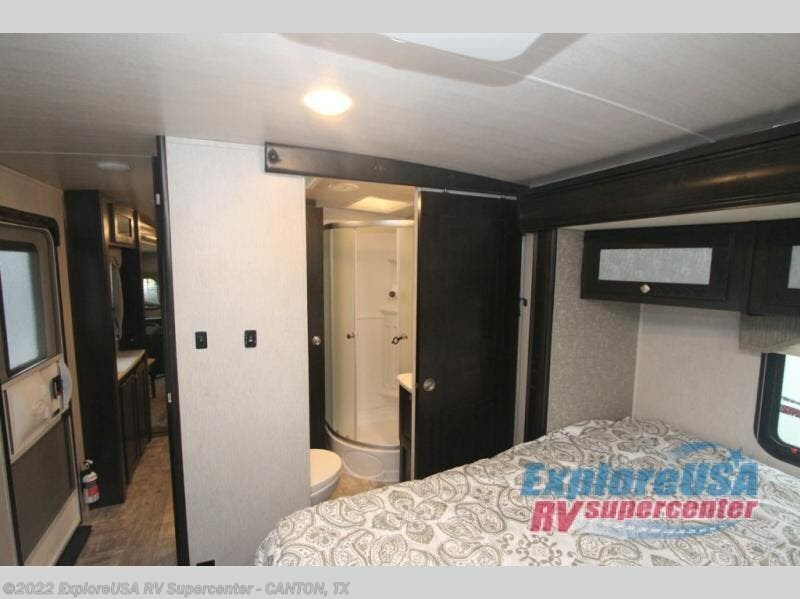 A second entry within the bath leads right into the front master where you can rest easily on the king bed that slides out to create a more spacious and inviting room. 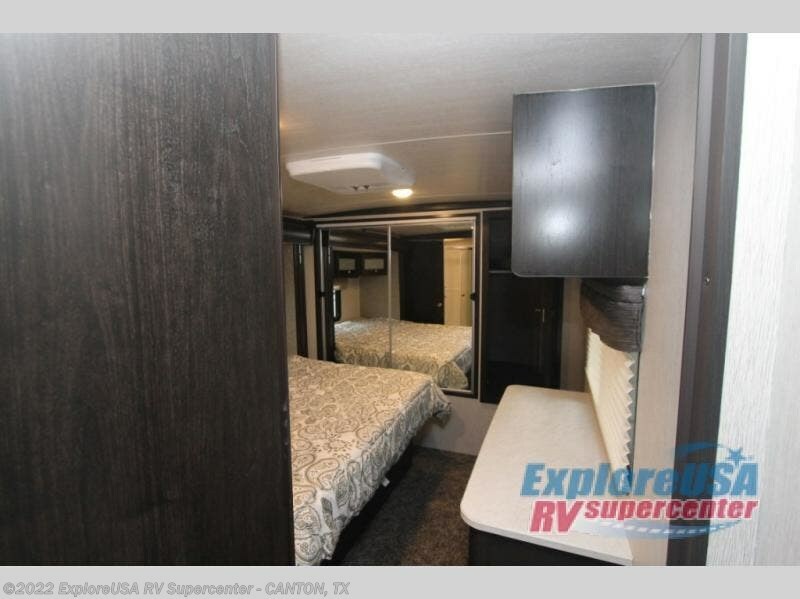 You will love the abundant storage within the large front closet including a space that has been prepped for a washer and dryer if you choose to add the appliances. 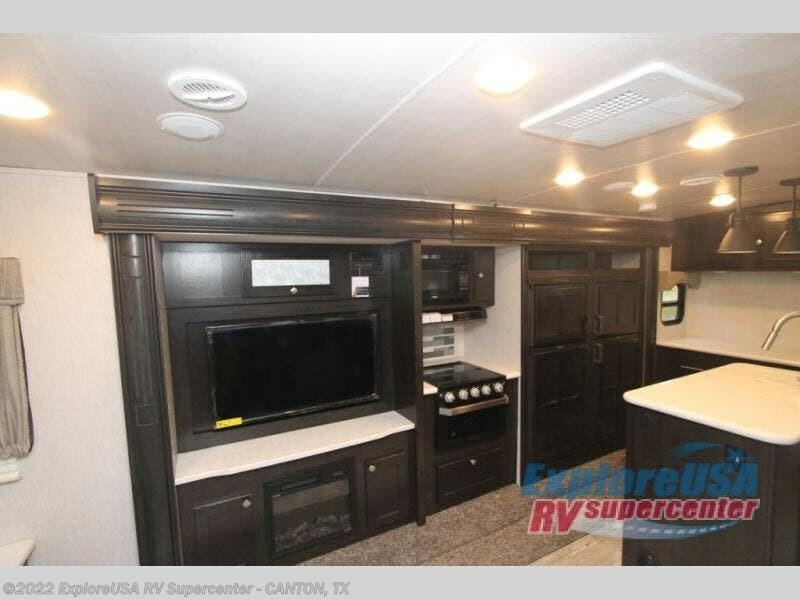 In the kitchen, you can stock up on refreshments and food with a nice double door refrigerator, and the abundant counter space between the island and added counter area adjacent to the refrigerator will make your food prep and entertaining a breeze. 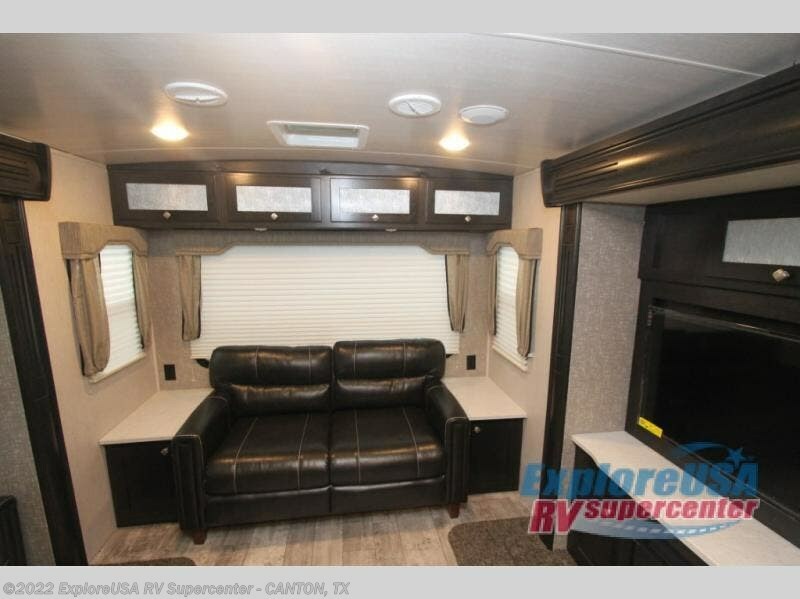 You will also enjoy kicking back with your feet up in the theatre recliners found opposite the entertainment center for your enjoyment! 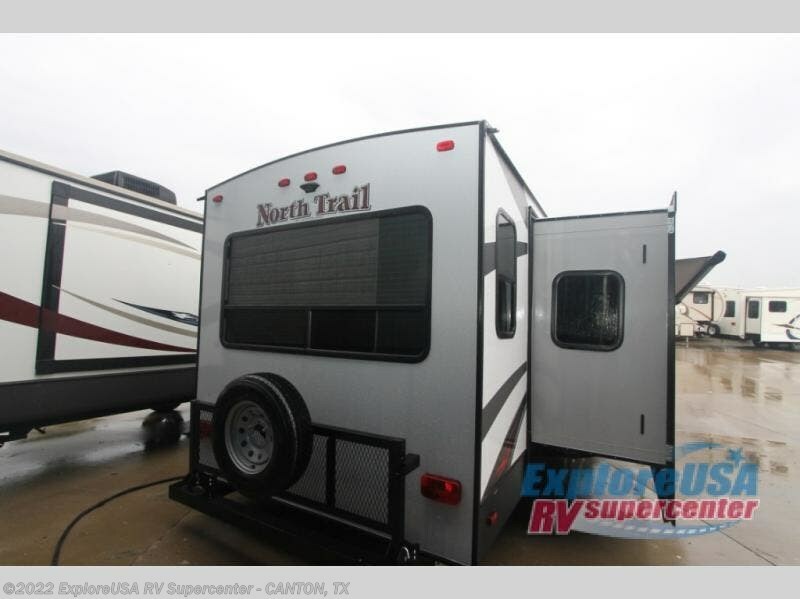 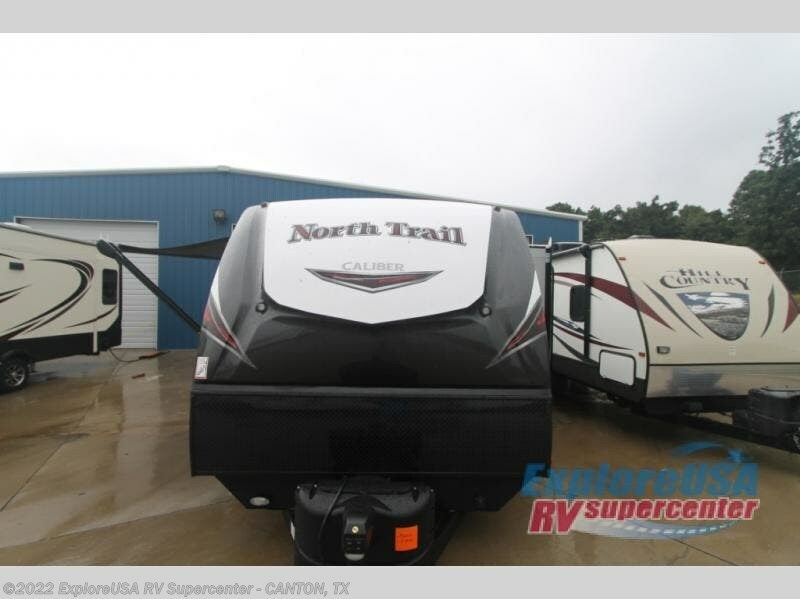 Check out Stock # W2299 - 2019 Heartland North Trail 33RETS King on heartlandrvsource.com!